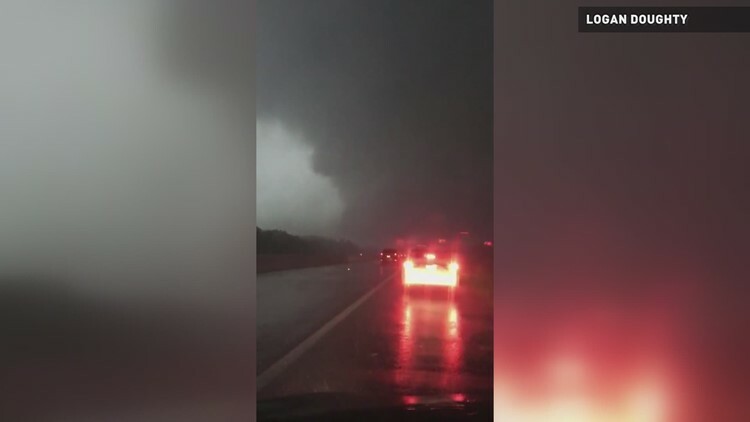 Four people were killed and dozens more injured after a tornado outbreak ripped through East Texas. As they watched the tornado take their roof, Cheryl and Keny Hughes may not had known they would not see each other again. 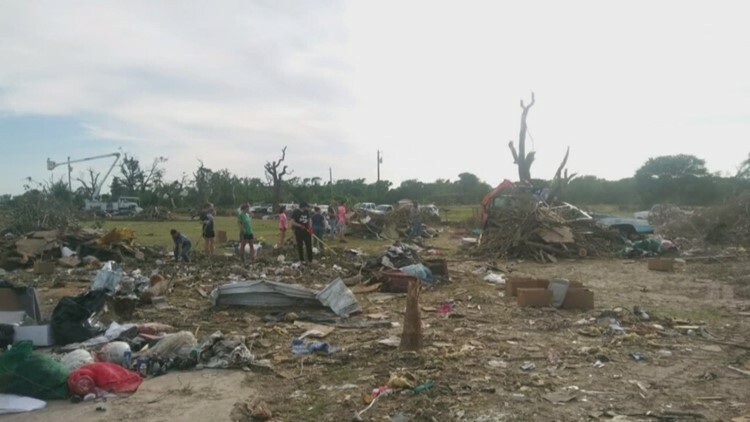 CANTON, Texas — According to National Georgaphic, tornadoes kill about 60 people each year. Scores of survivors are injured. Billions of dollars in property are damaged or destroyed. Behind every statistic is a story of survival, loss and perseverance. Cheryl Hughes will forever remember April 29, 2017. Hughes and her husband Keny watched the rain pelt the ground as a heavy storm moved through the area. As time passed, the storm grew stronger. “Thundering and lightning, you know, but I don't think it's anything out of the ordinary,” Hughes said. The storm had knocked out both her TV and Internet. They were cut off from any weather reports. "My husband went out on the back porch looking south, and he hadn't been out there, but just a few minutes,” Hughes remembered. She came to meet her husband toward the backdoor. The couple had only precious seconds to spare. 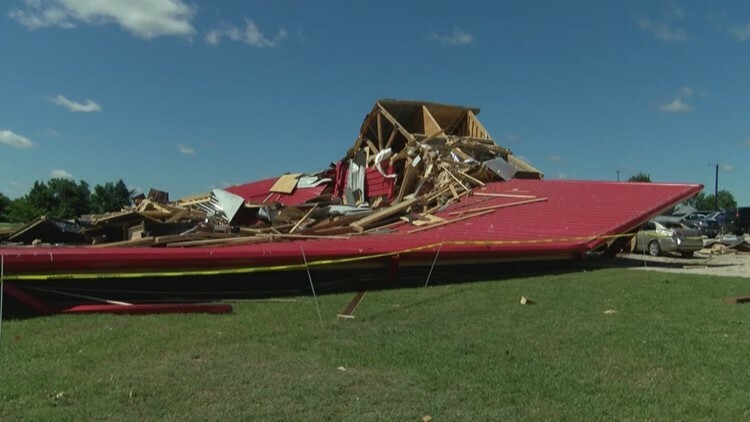 What Keny Hughes saw was an EF-4 tornado heading towards their home. Moments later, it was right over their heads. These would be the last moments they would spend together. Cheryl and her neighbors would take refuge in a small closet. She had no idea of the devastation outside. 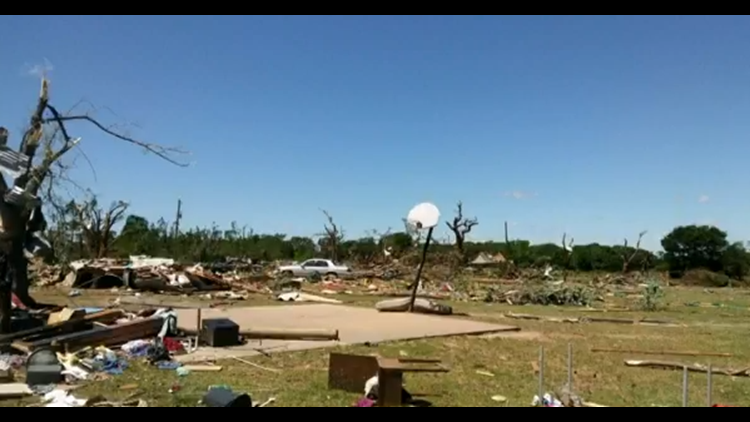 In four hours, nine tornadoes struck the area, destroying everything in its path. ”They were like, 'You don't understand. It's not one or two trees. It's hundreds of trees down on that road,'” Hughes said. When the storm had finally ceased, her neighbor took her to a triage unit set up at Canton High School. From their, she was taken to a hospital in Tyler. She suffered spinal fractures and a broken ankle. However, the worst news was yet to come. Nearly two years later, Hughes has rebuilt her home that she and her husband once shared. Her life is regaining as much of a sense or normalcy as possible. However, the memories of a late-April evening will forever stay with her. “No we weren’t prepared," Hughes explained. "I think we need to be more aware than we were in the past." Hughes says she wants people to learn from her story and be prepared for the worst. One thing she also says is add a storm shelter to your home and do not wait to take cover. For all the preparations one can go through, tornadoes are still random and destructive forces of nature. They kill and destroy indiscriminately. While that fact is somber, Hughes uses her faith to find solace in that fact. It is her faith that continues to comfort her through the fear and bad memories.